Hi, friends. 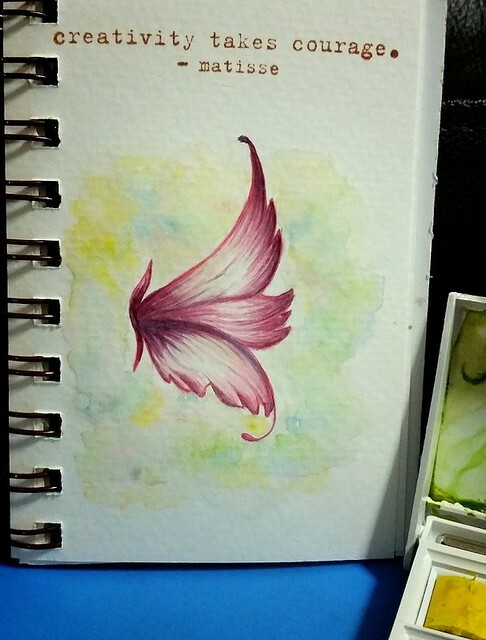 It's Day 11 of my "One Watercolor A Day". Today's theme is courage. When I thought of courage, I thought of wings. Reason being it takes courage for a baby bird to take the first step to spread its wings and fly. So I hope that I will have the courage too to learn to fly in my creativity. Not to be afraid of failures or setbacks. But to embrace them. By doing so, I'm growing and learning to be better. Hope you enjoy my sharing so far. Do take courage and fly in your creativity. Have fun.